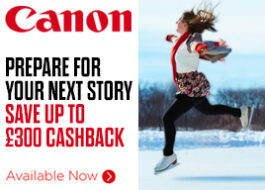 Canon Autumn Cashback - Save Up To £300! Canon L-Series Lenses - Save 10%! Canon C300 Mark II - Get £500 Of Accessories Absolutely FREE! 10% Off Canon L-Series Lenses!